Dell latitude d630 shuts down by itself after sometime. It looks like the overheating of cpu is switching off laptop. And I have to wait for sometime to again switch on. I have changed to cooling fan's power supply to a usb port (2 wire). Still facing same issue. Kindly assist. Open the chassis and clean the airvents and the fan assembly with a small vacuum cleaner or a can of compressed air. Reapply the thermal grease for the heatsink. If the issue is not resolved, replace the fan assembly and check. 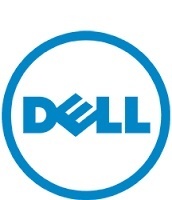 http://dell.to/1n3X2po - enter the service tag and download the service manual if required. If the issue persists even after replacing the fan assembly, then you might need to replace the motherboard. You could contact our team to get a quote for a paid service call - http://dell.to/1vnT6CQ - however, I am not sure if we still have the parts required for this system model as it considered obsolete. You could also order the parts here. Also, please click my DELL-username and write me a private message with the service tag and your contact details(Name and Email) for case records. Dell Latitude D630 shuts down when not connected!